Welcome To All Or Nothing Tattoo And Body Piercing Studio, Atlanta GA. 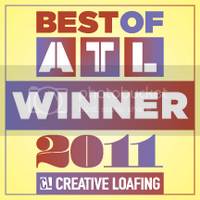 Thank you for Voting us best of Atlanta for the 7th year in a row! Most recently we won on www.CitySearch.com again and couldn't have done it without you! Come celebrate our 14th anniversary at the Atlanta Tattoo Expo! We have some amazing artists and clients lined up and we'd love to have our #AoNFamily come and show your support. If you're not following us on Instagram, you might be missing some incredible work! Stock up on our great merch deals! Stranglehold Merchandise is having a great sale. All T-Shirts are on sale for $15.00! Buy two T-Shirts and get a mystery shirt for free! Be sure to include the size for your free shirt in the comments section when ordering. Anyone who purchases a Hoodie will recieve a free "See You In Hell" DVD! With purchase of our Pitbull Rescue Hoodie you will receive our award winning "Vicktory to The Underdog" DVD! Check out www.StrangleholdMerch.com for more amazing deals! Sign up for our newsletter today and enter into monthly drawings! All or Nothing Tattoo has taken over Tattoo Master (UK) magazine! 1 Issue ONLY! After they gave Brandon Bond his "Lifetime Achievement Award for Outstanding Contribution to the Tattoo Industry" at the Skin Deep TattooJam, they invited Brandon to be a Guest Editor of their magazine. The issue is overloaded in its entirety with content about the Atlanta based leviathan tattoo studio and all the projects related to the uber successful parlor. The entire magazine is full of All or Nothing, including new photos never seen, personal stories, insanely honest interviews, personal letters, tutorials on cover-up, technical information, tutorial on freehand tattooing, and every artist in the studio is featured. Like a written seminar, and an open window into the belly of the beast. This magazine is AMAZING, order yours today! 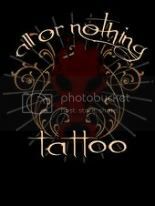 ALL OR NOTHING TATTOO MERCHANDISE!! Family- As Defined by Brandon Bond! 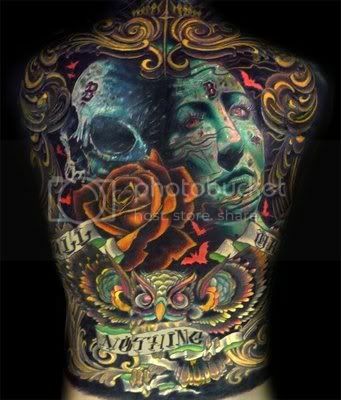 Visit www.STRANGLEHOLDMERCH.com for all of your All or Nothing Tattoo Needs. We have Gift certificates, Tattoo Seminar DVD, Tattoo documentary DVD's, Childrens tattoo coloring books, NEW SHIRTS, and more!